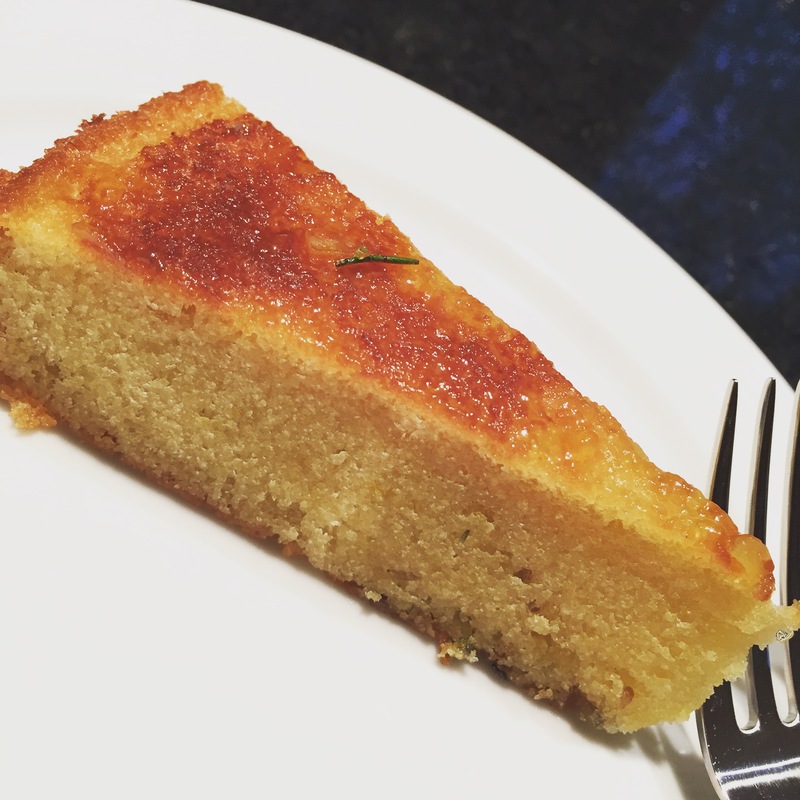 This cake – my favorite these days – easy to make and is a hit with everyone, even my dad. The recipe below is borrowed heavily from Michael Chiarello’s recipe. Preheat oven to 350 degrees F. Oil 2 (10-inch) round cake pans. Line the bottom of each cake pan with parchment paper. Oil the parchment paper as well. In heavy saucepan, reduce the orange juice over medium heat to 1/4 cup. Add the salt, stir and let cool. In a standing mixer with a paddle attachment, lightly beat eggs on high speed for 1 minute until frothy. Add milk, sugar, alcohol/liqueur, olive oil, reduced orange juice, lemon zest, anise and 1 teaspoon rosemary. Mix for 1 minute until well blended. Mix in the flour, baking soda and baking powder until well blended and smooth. Pour half the mixture into each oiled cake pan. Bake for 1 hour. Place on a rack to cool. Run a knife around the edges and place it on a plate. While the cake is still warm, smooth 3 tablespoons of marmalade on the top of each cake. Sprinkle the remaining teaspoon chopped rosemary evenly over both cakes. If you would like to make mini cakes or muffins as seen in the second picture, oil a small size muffin tin and fill with batter. Bake the muffins for 20 minutes. Let the muffins cool and remove the muffins from the pan. Smooth the marmalade on top of each muffin. Sprinkle the remaining teaspoon of chopped rosemary on top of the muffins. I love your blog, it is gorgeous! I just followed you, it would be great if we can support each other 🙂 I can’t wait to read more.